Trying to build a catchy campaign for your company brand? Luckily, there’s a marketing app for that. The range of marketing platforms available can help you reach a larger audience, develop engaging content and make a lasting impact on that audience. Today’s marketing solutions come in all shapes and sizes, which is great when it comes to ensuring your company finds the right match. Yet this surplus of options also bears additional work for you and your business: the job of weeding out the solutions that don’t meet your marketing needs. And as fantastic as many leading marketing applications are, they also tend to be accompanied by a sky-high price tag, the wrong mixture of functions, or a combination of the two. That’s where the Business-Software.com team comes in – we’re here to provide guidance on the age-old question: Which marketing platform offers the best value? Side note: If you’re new to the Best Value series or need a refresher on our process, hop over to the best value series’ introductory post. Otherwise, onward we go! The marketing software industry has very much diversified within the last decade or so, making it possible for any organization to find a solution across the spectrum, be it one that addresses a specific aspect of marketing or aspires to the all-in-one solution. From social media-specific marketing applications to full-scale automation platforms, the marketplace abounds with products to help your business develop a stronger, multifaceted marketing strategy. Likewise, the expansion of platforms with varied pricing levels is also making its mark on the industry, enabling organizations with limited budgets to utilize services and software previously limited to enterprise-level marketing departments. The number of affordable subscription plans in the single-digit range allows SMBs, startups and businesses with smaller marketing teams to purchase tools that streamline marketing activities on par with the size of their client base and company size. Regardless of business size, if your organization plans to invest in a platform that simplifies all of the major marketing activities, there are a few important features to include on your must-have list. 1. Campaign and lead management Once recognized as two distinct capabilities, campaign and lead management have become more closely intertwined in many of today’s marketing solutions. 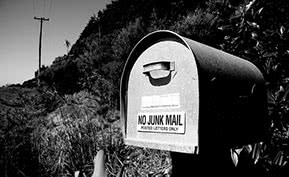 A platform with these functions, offered together or as separate tools, is a must in order to effectively bridge the gap between outreach efforts and usable contact information. 2. 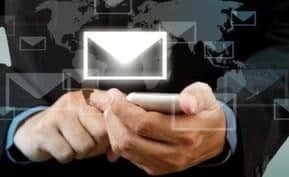 Integrated email functionality Email marketing remains the most widely used channel for outreach efforts, which is why it’s important that your marketing software include robust email automation, customization and segmentation capabilities. Functions such as trackable links and A/ testing are also valuable to ensure you’re reaching the targeted audience in the most effective manner possible. 3. Social marketing As the trending method for engaging with everyone from friends and family to potential clients, social media tools can provide an easy and impactful way to revamp your marketing efforts. Look for a marketing solution that monitors relevant social media activity, allows you to easily engage with other users and helps turn social activity into actionable leads. When looking for a solution, don’t forget to evaluate the number of users and any limits on contacts as well. If you only require 1 or 2 users but need a relatively high ceiling on the number of contacts, make sure any products you consider meet those needs. Act-On – Act-On streamlines all of your top marketing activities into one cohesive platform, making it incredibly easy to build segmented campaigns, track campaign performance and optimize a multi-channel outreach strategy. Genius – A lesser-known marketing product, Genius caught our eye because the software embraces the modern, social aspect of marketing with a unique set of functions to help glean valuable insight from social media data. 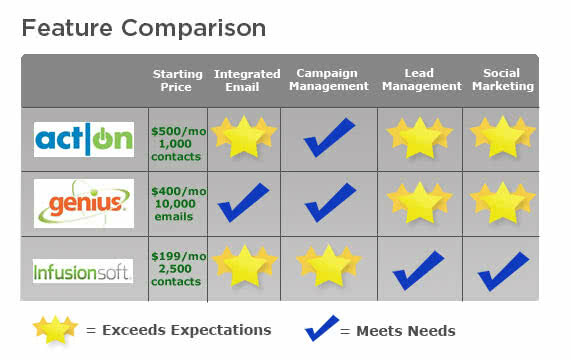 Infusionsoft – Though generally recognized as a CRM solution, the Infusionsoft marketing platform offers an impressive collection of marketing features, including a visual campaign mapping tool and multimedia marketing techniques. The award for best-value marketing product goes to…the Act-On Marketing Automation Platform, thanks to the supporters who rallied behind the vendor. In all fairness, we should disclose that these results are a bit biased considering Act-On’s enthusiastic employees and fans made up the bulk of our survey responders. But the Business-Software.com team feels that Act-On deserves the title for the platform’s comprehensive functionality [with bonus points for the company’s active participation]. Act-On’s full-featured suite of marketing tools, from landing page optimization to lead scoring, allows you to engage with customers and potential customers in the most efficient manner possible. Additional functions such as social prospecting and publishing help you effectively utilize social channels to gain new customers. Meanwhile a multi-tier pricing model by quantity of contacts ensures your business only pays for what it needs. Looking for more on marketing software? Browse marketing product reviews and other posts on the subject in our handy marketing software research center page. Or compare leading marketing solutions in our range of free top 10 marketing software reports.